« Guess What? Erica S. Perl Rocks! Author and illustrator Tomie dePaola was a staple of my early childhood, as he was for many children of the ’80s, with titles like “Strega Nona” and “The Art Lesson.” But he also created a lesser-known picture book called “Marianna May and Nursey,” that remains, to this day, one of my all-time favorites. Unlike much of his other work, which is typically autobiographical or based on age-old folk tales, “Marianna May and Nursey” is the story of a young girl who is the only child of a very wealthy, Victorian-era family. Because her parents are so very important and very busy, Marianna May is cared for by a prim, white-haired woman named Nursey. True to the period and their socioeconomic class, Nursey, Marianna May and her parents wear white, all white, all of the time, especially during the summer. This wardrobe, unfortunately, doesn’t exactly suit Marianna May’s favorite activities. 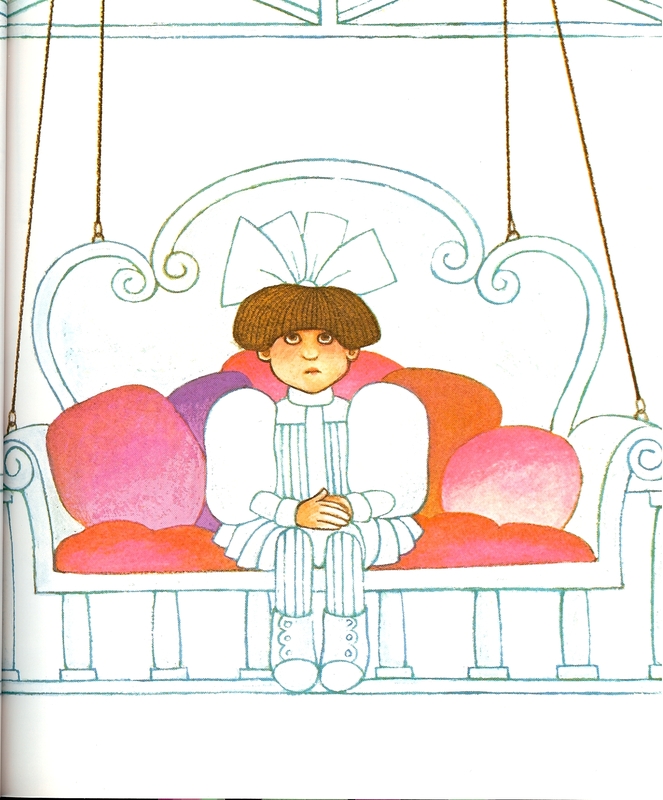 As a result, Marianna May is often relegated to the front porch swing and instructed to keep her white dress clean. DePaola’s moral resides in this single sentence. What little girl – and for that matter, what adult – doesn’t dream of life with all the fineries of the wealthy and privileged? But Marianna May’s experiences demonstrate that life isn’t always greener on the other side. Fortunately for Marianna May, her unhappiness does not go unnoticed. One afternoon, Mr Talbot, the ice deliveryman, sees the dejected look on her face and sets out to consult with the house staff, determined to remedy the situation. 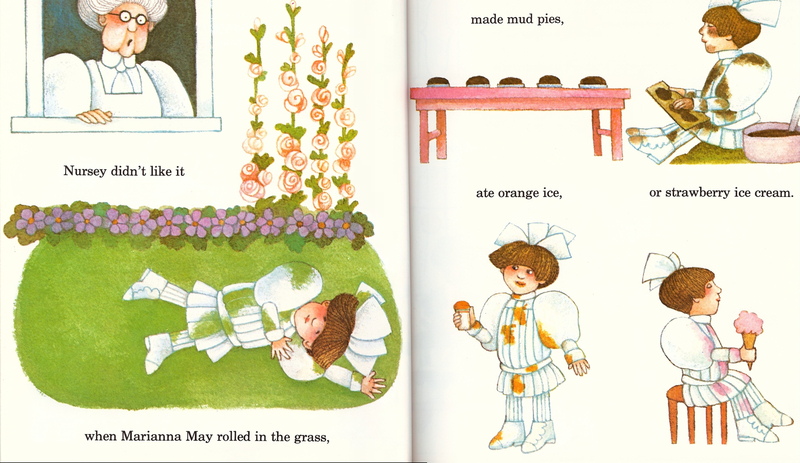 Spurred by Mr. Talbot’s brilliant idea, Nanny, the cook, the cook’s helper and the laundress work all day to transform Marianna May’s white frocks into something more appropriate for a playful, young girl. 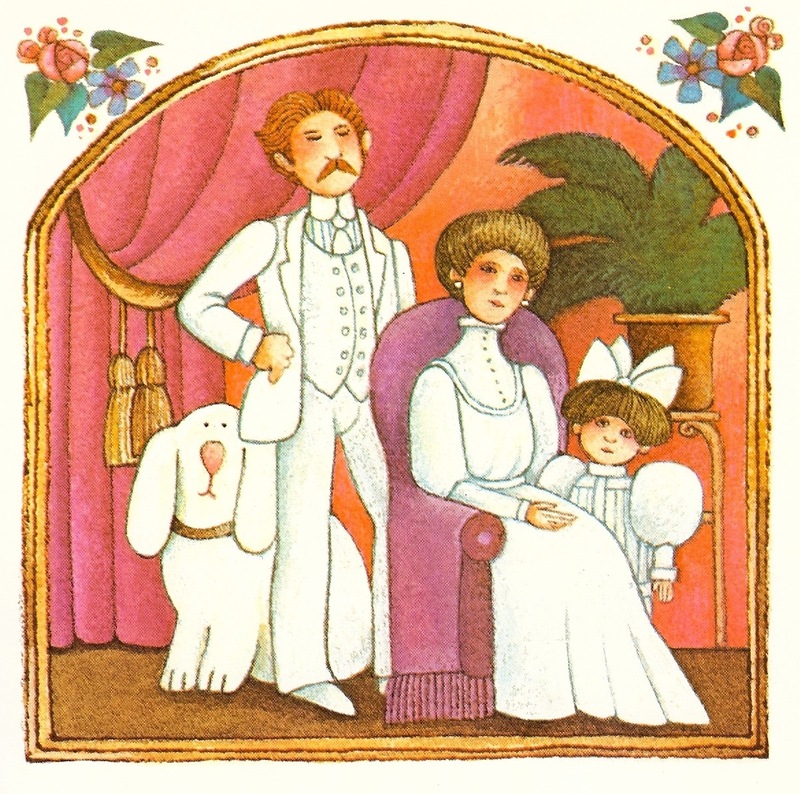 The illustrations that follow of Marianna May in her many-colored dresses are an absolute delight and have remained in my memory for nearly 20 years. As a whole, I would compare dePaola’s book to your favorite dessert – little nutritional value, but oh-so delicious. Published in 1983, its references to wealth are a bit of a children’s-book faux paux today, but I do enjoy the historically accurate details dePaola carefully incorporated. The style of the clothing, architecture and manicured gardens all reflect the Victorian era. 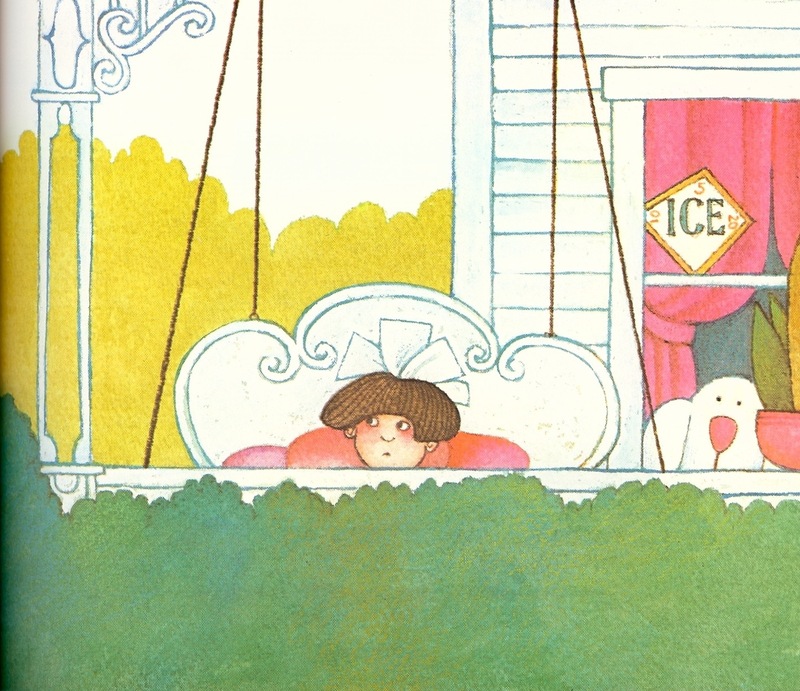 The ice delivery sign hanging in the window of Marianna May’s house particularly caught my attention. I noticed that three corners of the diamond-shaped sign contained numbers. According to historical information about ice delivery, the sign was positioned so that the number pointing upward indicated how many pounds of ice a customer wanted the deliveryman to cut from his block. Just as ice delivery has long gone by the wayside, so too has this beautiful book. You won’t find it at your local Barnes & Noble, but copies can be found in various conditions for widely varying prices from online booksellers. My mom, ever indulgent of my literary obsessions, tracked down a copy for me on eBay several Christmases ago. But for those of you in the Ames area, you’re in luck! The Ames Public Library has a copy – possibly the exact same book that enchanted me so many years ago. Thank you for posting this! I loved this book as a child, and have been looking for it ever since. 🙂 I’m so happy to discover it again! If you’re reading up on children’s books at 1:13 a.m., we’re two of a kind and it’s no surprise you love “Mariana May” as much as I do! So thrilled to have helps you find it again! I loved this book as a child, and as you said, it has stuck in my memory for many years since! 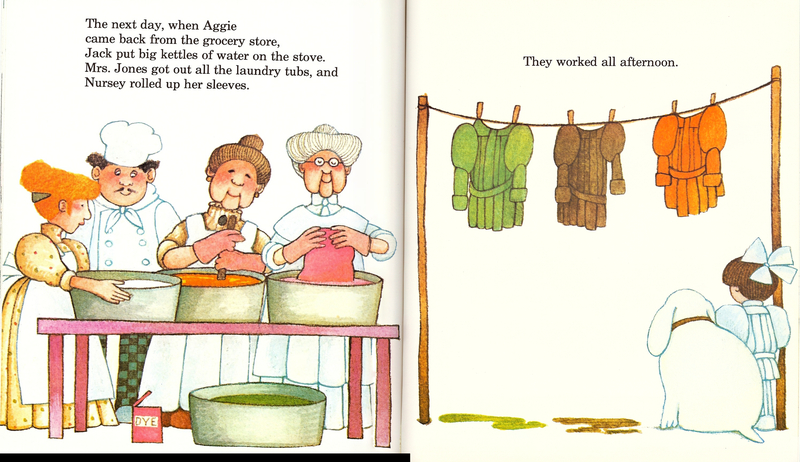 This is a long shot, but there is another children’s book I’m trying to track down that I can’t get out of my head. Perhaps you’ve read it (since you seem to have good taste!). I remember it had something to do with a littler girl getting a cake for one of her parents, and the cakes were chocolate and one was pink or vanilla with strawberries on top. Those pictures are stuck in my mind, but I can’t for the life of me remember anything else about the books. If you have any idea what I’m talking about, I’d appreciate the help. If not, thanks still for letting me briefly relive another childhood favorite!